Martorell, 12/08/2016. - SEAT has taken another step further in car connectivity after becoming the first brand in the industry worldwide to feature an app that is compatible with CarPlay. 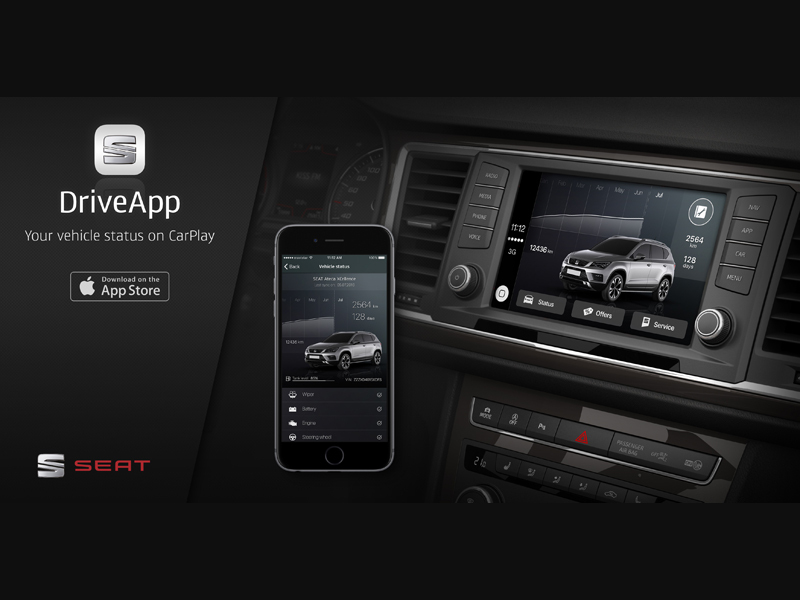 The iOS-developed SEAT DriveApp is now available in the App Store and allows you to view and manage the content of the app installed in an iPhone on the screen of the car. The app is already available in Spain and in the next few weeks will reach the rest of markets where SEAT operates. With the SEAT DriveApp, customers can access full vehicle status data to facilitate their driving experience. In this sense, indications include scheduled maintenance visits, tyre pressure or available offers in the nearest dealerships. The app will be updated in the next few weeks with even more features and services. The SEAT DriveApp has been wholly developed at the SEAT Technical Centre, which is the technological driving force of the Spanish multinational that is fostering connectivity. SEAT aims to lead the creation of a mobility ecosystem and transition from being a business that is focussed on manufacturing and marketing vehicles to a provider of mobility services. The company already offers FullLink technology for CarPlay compatible iPhone models and Android devices on all the brand's Connect version line-up. Connectivity on SEAT models is enormously beneficial to drivers as it enables them to know the status of their vehicle wherever they are and remain connected to social media while driving in a completely secure manner.